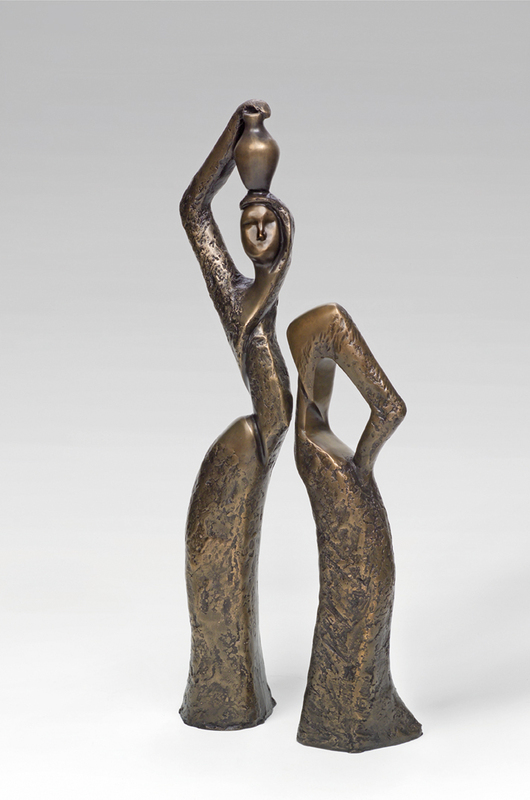 Typical of the sculptor’s style, this eye catching piece of a woman carrying a jar of water encapsulates the grace and poise of women. On one side the woman seems to be a traditional woman carrying a jar on her head, yet the challenging hand on hip on the other side gives us an inkling of the woman’s feisty personality. This is one of a limited edition of only 12 pieces and has been hand signed and numbered. It comes with a certificate of authenticity from the sculptor.